Hüseyin Çetinel, a retired engineer from Istanbul, decided in August to color the grey steps in the Fıkdıklı-Cihangir neighbourhood and painted the nearly 200 stairs with his assistant, Volkan Tecimeroğlu in colours of the rainbow “to put a smile on people’s faces”. But what he didn´t know was, what kind of attention his action would call. After a few days, the municipality found out about the colourful brightning up of the stairs and over painted them grey, because they feared the action would be a solidarity action to the gezi-protests or understood as a symbol of the homosexual movement. Prompt a clamour of outrage went trought the social media. Many event pages on Facebook invent people to paint stairs together, as people write on tumblr about the phenomenon and tweets like #direnmerdiven (resitance stairs), #gökkuşağı (rainbow) or #Istanbul, #Rainbow were tweeted through the www. Also Locals reacted strongly after the municipality workers painted the “rainbow” steps grey. Misbah Demircan justified his reaction as follows on Hurriyet Daily News: “One of our citizens took a decision and offered Beyoğlu such a beautiful project. However, he made a methodological mistake. Not only did he not apply to the municipality, but he did not inform the other residents in the neighborhood”, adding that this had led to complaints. As the mayor recognized what flame war he triggerd through his action by repainting the stairs grey, Demircan decided to rerepaint to stairs colourful again. “The era of colorful steps will start in Beyoğlu”, commented the mayor of Beyoğlu municipality Ahmet Misbah Demircan via Twitter on Aug. 30. The rainbow steps of Beyoglu can be seen as a sign of civil disobedience or understood as a capuling-act as well as it reminds the people of the authoritarian politic during the Gezi-protests. The Cihangir stairs were re-painted colorfully after the grey-washing by the municipality in 2013. They remained tinted in rainbow colors until 27th of July in 2015. By then, bulldozers of the municipality destroyed the stairs – according to the resident’s wish of rebuilding them. “We met with Beyoğlu Municipality as residents of Salıpazarı and said these stairs needed to be repaired. We have been negotiating this for the past year. The municipality accepted our request and promised to reconstruct,” initiator Hüseyin Çetinel said. According to him the stairs’ demolishing is part of wider infrastructures work. “The stairs will then be rebuilt. Nobody should worry, the stairs will be painted again and be even more beautiful than they used to be,” Çetinel said. 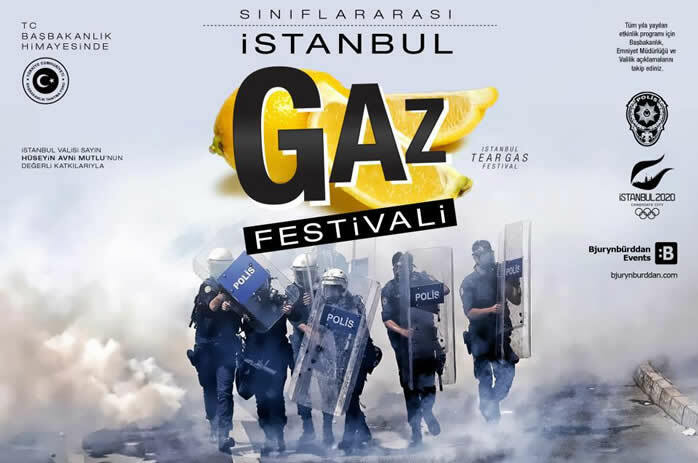 Chapulling (Turkish: çapuling) is a neologism originating in the 2013 protests in Turkey, coined from Prime Minister Erdoğan's use of the term çapulcu (roughly translated to "looters") to describe the protestors. The protests started with the occupation of the Istanbul Gezi Park by a small group protesting against the demolition of a symbolic park in the center of the City, finally it became a mass demonstration with a general strike on June 17th 2013. 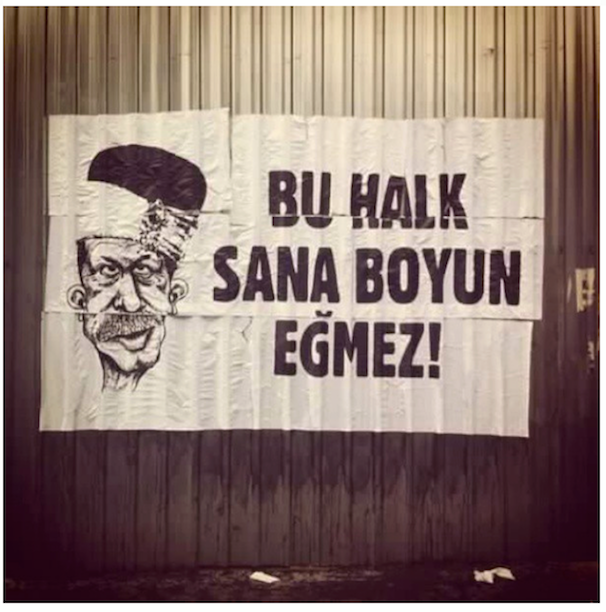 The word Çapuling quickly caught on, adopted by the demonstrators and online activists, and became a viral video. Many took the concept further by integrating the unique nature of the demonstrations and defined it as "to act towards taking the democracy of a nation to the next step by reminding governments of their reason for existence in a peaceful and humorous manner." 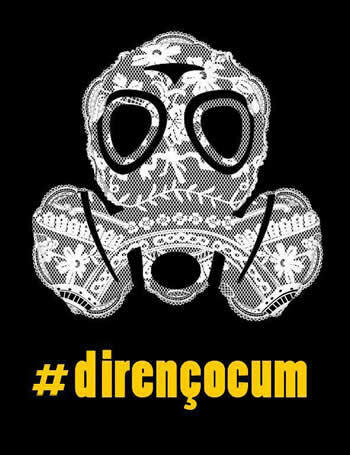 The Çapuling section of InEnArt describes and reflects the visual culture, humor and irony of the peaceful protestors (the Çapulcu) as it developed in many forms in Turkey during 2013. Read also: Why Turks are good in protesting!